Pontiac GTO can be traced back to the 1960s and the muscle car era. If you are buying an engine, you probably don’t need a history lesson on GTO. What you might not know is how cheap you can buy one of the newest GTO engines. Did you know that Pontiac revamped the GTO in 2004? Less than 40,000 were made in the two year time span that Pontiac gave to the GTO in modern times. What you can do with this engine is only up to your imagination. 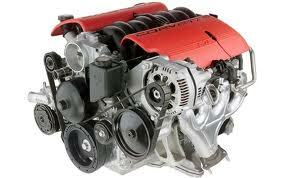 We have Pontiac GTO 6.0L crate engines at the right prices and we ship them quickly. The LS2 block is what the 6.0L is built upon. This means that the same design and technology Pontiac used for the Corvette was also used in the GTO. Over 400 horsepower is what the LS brought the already world renowned power of the GTO. Our crate engines need nothing done to them to get them to startup after installation. These are sold as complete engines. You are free to add what you want to make the engine your own. One thing you’ll never do here is pay a high price to own one. We are known for low pricing and for our exceptional engines. The 6.0L has street cred and a reputation on and off the racetrack. This engine is so in demand that many race teams have added it to their engine lineup. You can do the same thing too. We choose the best companies that can make our customers happy when you buy crate engines. We know that there are certain technical aspects that must be present. We assure customers that all parts are new and genuine OEM. Buying a crate engine from the Internet can get you a lot of variety in the build. We are consistent and stay away from cheap parts. Building engines the right way is one thing that keeps customers coming back for more. We get asked sometimes about our Pontiac engine warranty. Some customers are surprised that we even offer one. They know that it is a rarity to include such an amenity. Since these are customized crate engines, they always come along with a parts and labor warranty. The time period is a lot longer than most people realize. A small warranty is usually the sign that a seller could care less what happens after the sale. You can rest assured when you buy a 6.0L crate engine that you’re getting what you intended. We personally guarantee crate engines that we sell. You can do two things to obtain our engine prices. The first would be to call our crate engine specialists at (336) 355-5679. We’re approachable people and we help educate you if you need it about the 6.0L engine. The second would be to use the online system we built just for engine quotes. The form asks for none of your personal information. In return for using the form, you get a low price and we get the pleasure of impressing you with it.